Virtual reality is undeniably cool, but it’s going to take a lot more than that to make people shell out hundreds of dollars for VR headsets. This week, we saw a head-mounted display patent from Apple and heard more about Facebook’s plans for Oculus, both of which hint at the potential of VR headsets. But patents and apps, as intriguing as they are, aren’t proof that virtual reality is anywhere near ready for mass adoption. Apple has been testing the waters of virtual reality for years, if a recently granted VR headset patent is any indication. The company submitted an application back in 2008 for a patent covering a headset with a slot for an iPhone or iPod. 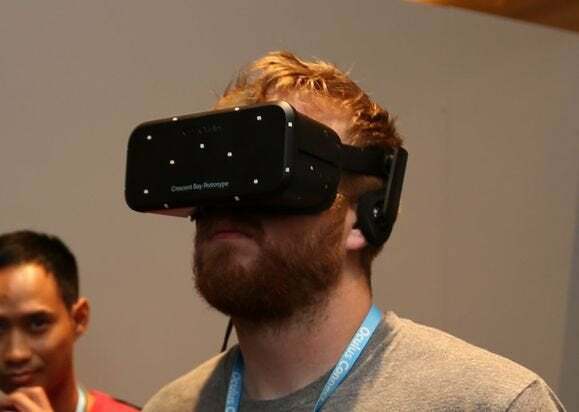 The iOS device slides into the headset and provides video, much like Samsung’s Gear VR needs a Galaxy device and Google Cardboard uses an Android phone to function. This isn’t the first patent Apple has on a head-mounted virtual reality device. Patently Apple has detailed reports dating back to 2008 on Apple’s headset patents. The company has ideas for a device that would use haptic feedback, the tech that powers Apple Watch’s pressure-based notifications, to provide a more immersive visual experience. But despite its apparent interest in virtual reality, Apple execs have been decidedly opposed to headgear, specifically Google Glass. Virtual reality is an altogether different game than the always-on augmented reality Google Glass offers, so perhaps Apple will one day make an exception for head-mounted tech—just don’t expect to see it anytime soon. Oculus showed off its Rift Crescent Bay prototype at CES this year, but there's still no release date. Facebook bet big on the future of virtual reality when it bought Oculus last year for a cool $2 billion, and the social network isn’t waiting around for the startup to release its Rift headset to the public. Facebook is already hard at work on its own VR apps, Chief Product Officer Chris Cox said at Re/code’s Code/Media conference this week. Cox said Facebook is envisioning a future where people won’t just share text, photos, and videos—they’ll create virtual experiences for their friends to share with them. 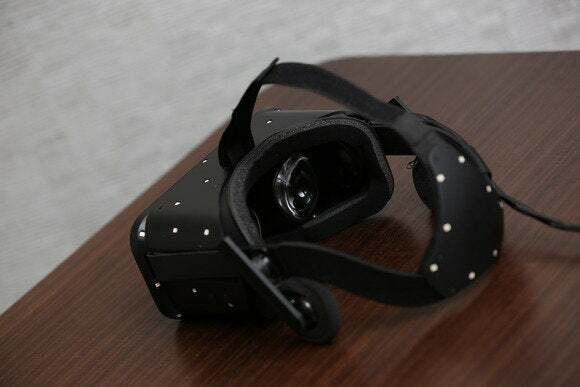 It’s unclear exactly how regular users will be able to make content for VR headsets (it seems a little unlikely at the moment), and Cox acknowledged that virtual reality is nowhere near ready for primetime. “We’re probably a long way from everyone having these headsets,” he said. Apple, Facebook, Google, Samsung: Which company will strike at the right moment and spur virtual reality to mainstream success? Facebook is the closest, with Oculus just months away from shipping for an estimated $200 to $400, and if the network has apps prepped to use at launch, Rift could be a compelling sell—and not just to gamers.